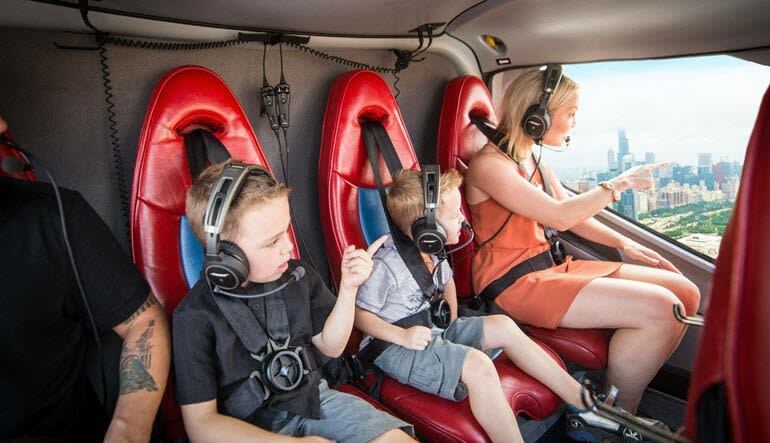 Experience Chicago’s amazing cityscape and rich history with just your family and friends aboard a luxurious, state-of-the-art, private helicopter tour. 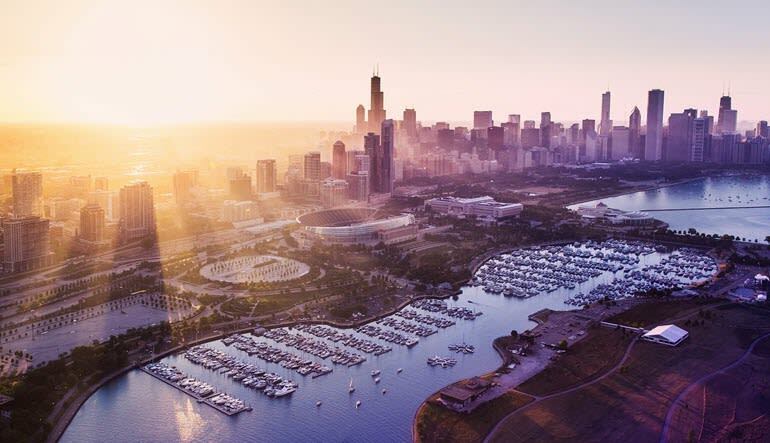 You’ll depart from the downtown heliport, just minutes from the “Loop.” Before your flight, enjoy fun facts about Chicago and pilot a helicopter from the interactive flight simulator in the 6,000 square-foot center. Depart from a Private Terminal minutes from the Loop. 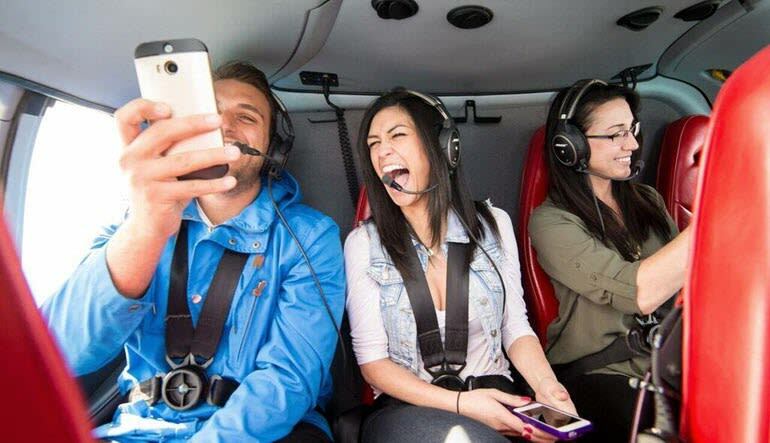 Fly with just you and 5 friends! Then, take off! You’ll experience panoramic views of the world’s best skyline from the optimal vantage point in the sky. Capture one-of-a-kind photos from the best perspective among Chicago's soaring skyscrapers and spectacular lakefront. Day tours feature the most popular city sites including Willis (formerly Sears) Tower, Navy Pier, the Magnificent Mile, Wrigley Field and much more. Night tours highlight colorful lights from magnificent skyscrapers reflecting onto Lake Michigan and the Buckingham Fountain light show. Take a daytime or nighttime helicopter tour of Chicago. Glide above the Navy Pier, The John Hancock Building and scenic lakefront. Learn the backstories of famous structures and landmarks from your pilot. Get amazing, one-of-a-kind views and capture photos from a unique angle. See Wrigley Field from the air. View the stunning reflections off Lake Michigan. Private tours provide personal experience with your closest friends and family on your epic journey.